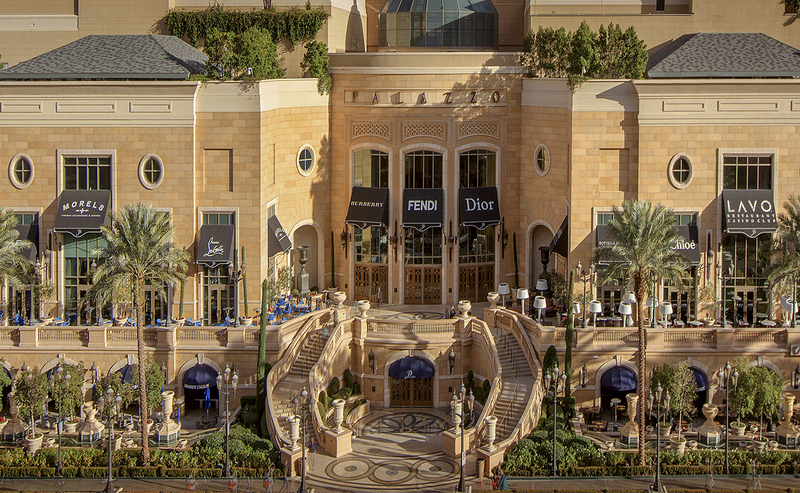 The sister property to The Venetian, this destination hotel brings a modern European ambiance to the Las Vegas Strip. 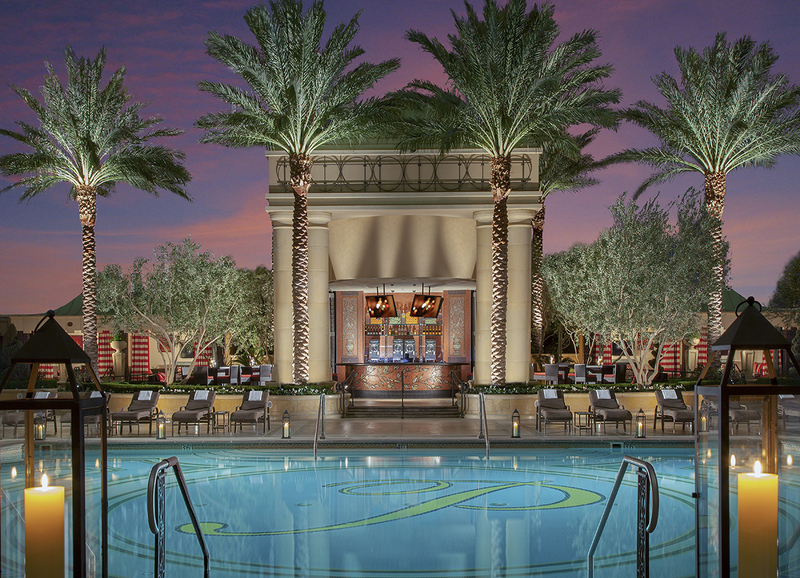 From the moment you arrive at the beautiful porte cochere, with a 40-foot-high lushly landscaped interior rotunda, you know you have entered something amazing. 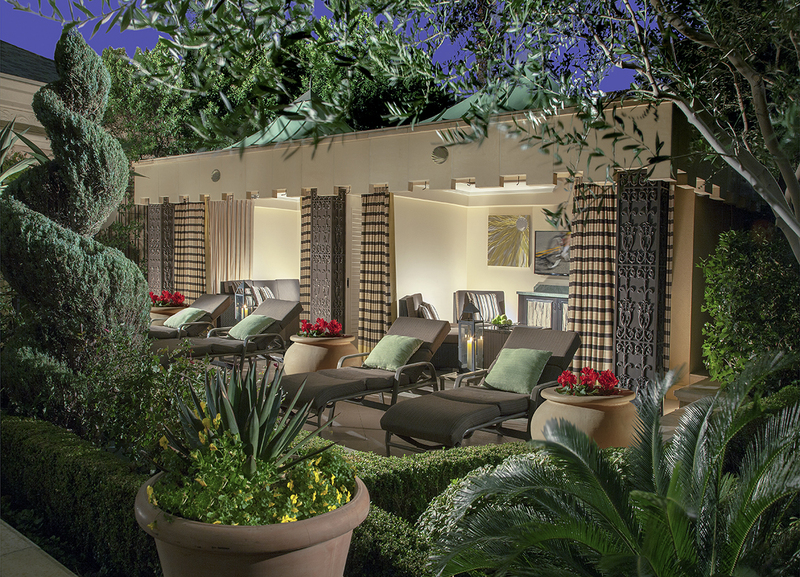 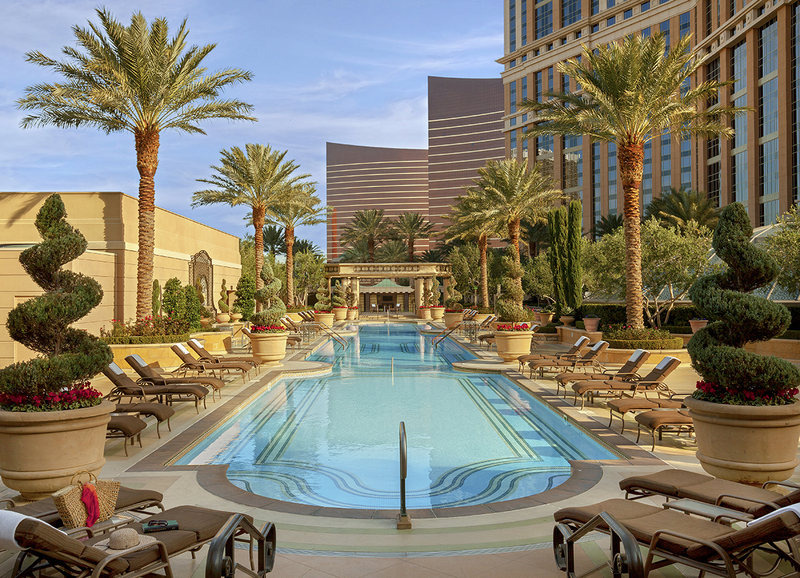 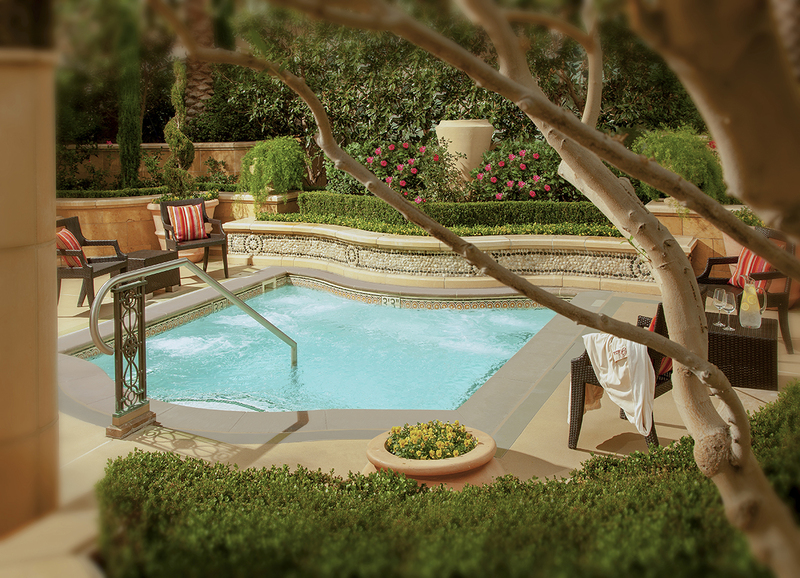 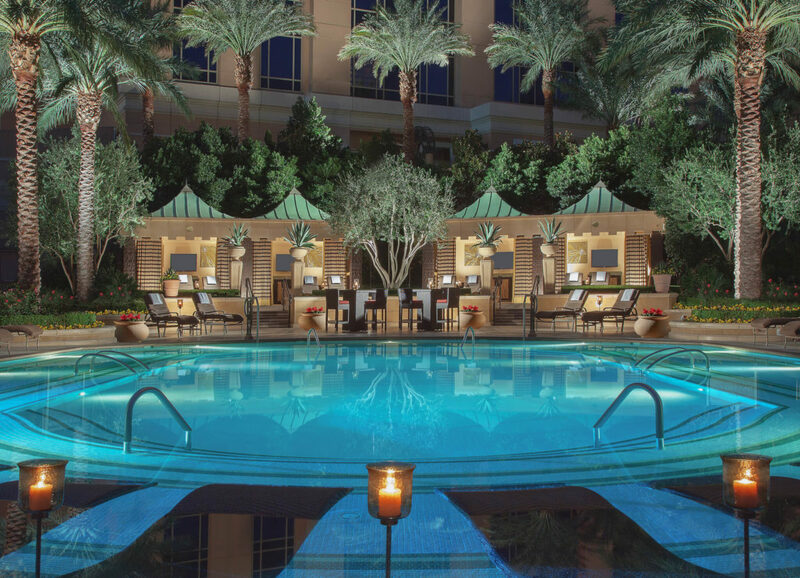 Between The Venetian and The Palazzo, the resorts provide ten pools over 1.2 acres of space, with different offerings for relaxation to mingling to family fun for a multitude of choices. 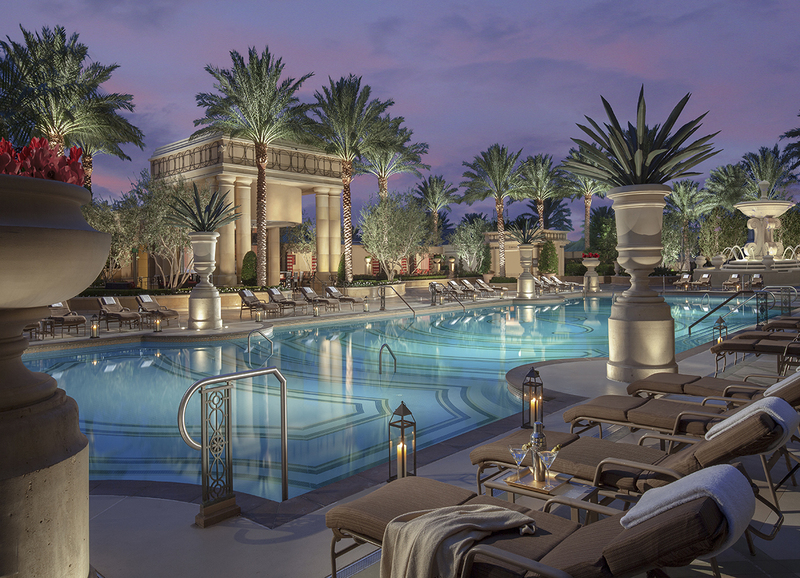 Stunning fountains, luxury-appointed cabanas, deck and spa recreation area, poolside restaurants and lounges provide a dynamic resort-experience.